Whether you are on your first baby, or your fifth, it’s likely that you feel the impulse to go all out when it comes to protecting your child’s health. This can make it tempting to succumb to the persuasion of anybody who claims that he or she has the “truth”, the information about keeping you, your partner, and your children healthy against the “medical establishment”. But “medical establishment” actually means the real doctors, nurses, and professionals who follow the evidence. Our society is teaming with woo, but here on The Pulse, in the area of health, I will help you learn to distinguish pseudoscience scams from issues that actually are grounded in science and evidence. We’ll start today with one of the biggest examples of food woo today, the push for so-called non-GMO food, which like so many other health scams can go after you when you are most vulnerable, namely when you have a new child whose health you are seeking to project. GMO stands for “genetically modified organisms (GMOs)”. It is a senseless term, because all living things are genetically modified, and not just as a result of evolutionary changes far back in the past, but also due to an on-going process. A major talking point of opponents of genetic engineering of food is that “GMOs” could be dangerous, because they are produced by the introduction of “foreign genes” into plants that serve as food sources, such as soybeans or corn. But even the term “foreign gene’ has no meaning in biology. Living things are constantly exchanging genes, not only between closely-related species, but also between organisms as different as a fungus and a tree, as different as a bacterium and a human. You have bacterial genes in you, plant genes, fungal genes, and the exchange of genetic material between them is as natural as the exchange of genetic information between human chromosomes when a woman and a man produce children. And when your child is born, she has not only your human genes, but also a large part of what’s called your microbiome, consisting of communities of microorganisms whose total number of cells numbers outnumbers your human cells by a factor of ten, or more. These microorganisms regularly exchange genes with one another and with your human cells. So-called “GMOs” are absolutely safe. Numerous professional health and science associations in multiple countries have made clear statements to this effect, including the American Medical Association (AMA) and the American Association for the Advancement of Science (AAAS). Don’t be fooled by people telling you otherwise and citing organizations that may have a medical sound to their name, but actually are political organization that are driven by ideology. The word pseudoscience refers to any belief system that is dressed up with scientific terminology and with people who try to act like scientists in order to intimidate other people into assuming that what they are selling is science. Very often, such movements make use of authority figures, some of whom hold credentials in medicine, or other fields, but are part of the pseudoscientific movement, either because they are not informed on the particular topic, or because they driven by monetary profit. Very typically, such people cite flawed studies as scientific evidence in favor of what they claiming. This is certainly the case when it comes to GMOs. One notorious study that anti-GMO organizations still cite today, even though it has been discredited, is a study many years ago reported an elevated rate of cancerous tumors in rats that were fed a diet of corn that had been genetically modified to resist an herbicide (weed killer) called glyphosate that was created by the food company Monsanto. The idea is that making a crop more resistant to the herbicide allows farmers to use more of the herbicide, thus killing weeds more efficiently. This is also done with soy, but multiple studies conducted by independent scientists have demonstrated repeatedly that the resulting corn is not harmful to people, or to other animals. In the case of this commonly cited rat study, however, the rats eating the corn diet developed large tumors. What the people citing the study –as well as the study authors— fail to mention is that they used a type of rats that are prone to develop cancerous tumors, early in life, no matter what they are fed. Though accepted initially by a scientific journal, the study was later ejected by the journal. But it is still cited by anti-GMO activists as a way to scare consumers –to scare you—into thinking that GMO corn causes cancer. This is very similar to a situation in the anti-vaccination movement, which frequently cites a different paper that was published in a medical journal in the 1990s, which claimed to have found a connection between the measles-mumps-rubella vaccine and autism, but which was ejected later by the journal, after it was determined that the lead author had faked the results. Though disgraced in the scientific and medical communities, that author, is still a hero to the anti-vaccination movement. Since we started with corn as an example, let’s look at another type of GMO corn to illustrate the absurdity of being scared of GMO food. There is a species of bacteria called Bacillus thuringiensis. It produces a protein, called Bt protein, which is toxic to a particular worm-like insect that eats and destroys the corn. The Bt protein binds to special receptors in the insect’s digestive system, causing the digestive system to explode and the insect dies, so the corn can live. For many decades, farmers have sprayed Bt bacteria on corn as a natural insecticide, some farmers still do it, if they are growing corn that they want to be certified as being organic, or non-GMO. They must spray on the bacteria in large quantities, dozens of times per season, in order to kill the insect on the surface of the corn, before it finds a safe haven inside the corn kernels. This results in unknown quantities of the insecticide on the corn, and people are worried about the effects of Bt insecticide on people if they are exposed to it in high doses. But there’s a twist to the story, which started back in the 1980s, when a biochemist from the Monsanto company figured out how to transfer the gene that encodes Bt protein in the genome of the bacteria into the genome of the corn. It took years to perfect the technique, and many years more to test the corn, but the result is called Bt corn, which comprises most of the corn that you buy. Rather than having to be sprayed dozens of times per season resulting in corn with high quantities of the insecticide, the Bt protein is produced inside the corn, and in minute quantities. This means thousands of times lower concentrations in Bt corn, compared with organic or “non-GMO” corn, and yet it destroys the insects more easily, than the much higher concentrations of insecticide on the organic and non-GMO corn. Let’s be very clear what this means to you as a consumer and parent. Opponents of GMO food –including food companies and “health food stores” are trying to scare you into avoiding Bt corn on the grounds that it contains an insecticide, and to replace it they are offering corn that contains thousands of times more of the same exact insecticide. Not that consuming thousands of times more of the Bt protein should be harmful to you or your child in the first place, but the level of irrationality of the non-GMO food market is striking. And so, the next time that you pick up a box of Kellogg Corn Flakes and read the note on the side of the box saying “Produced partly with genetic engineering”, keep in mind that this is a good thing. It does no harm, but speaking of harm, it should be noted that in purchasing food items whose manufacturers go out of their way to market the items as “non-GMO” there is a way that you could be doing harm around the world. In parts of east Africa and certain other areas of the world, the staple diet is mostly white rice, resulting in millions of children first going blind, and then dying from deficiency of vitamin A. To confront this problem and save the children, a non-profit groups of scientists used genetic engineering on corn to supply it with genes for four enzymes that enable the corn to produce beta carotene, the same chemical that you get from carrots, cantaloupe, and tomatoes, and which the body converts into vitamin A as needed. The resulting GMO rice has been called Golden Rice, because it has a golden color. It saves the lives and vision of people who eat it in place of an all white rice diet, and so the Bill and Melinda Gates Foundation has been supporting production and distribution, along with the production of other genetically engineered crops that and grow more efficiently in particular climates and save millions of people from dying of hunger, with no financial profit to anybody. Initially, the Golden Rice project was making headway, saving children. 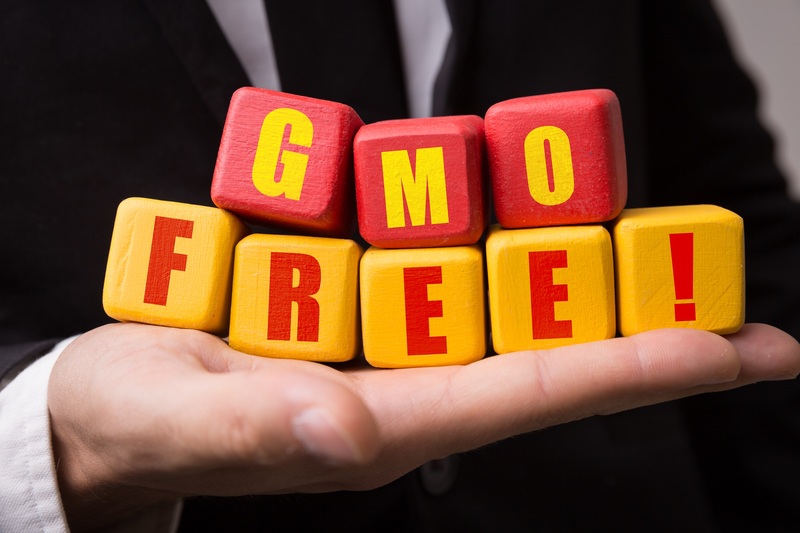 But, due to massive marketing in the West, spreading a belief that “GMOs” are dangerous, governments in several countries whose people and children can benefit from GMO products like Golden Rice have banned GMOs, and have been prosecuting scientists who develop such crops. This very unscientific message is being circulated by a diverse group of anti-GMO parties ranging from the multibillion-dollar profit-driven Whole Foods Market to the ideologically-driven Greenpeace organization, to the organization that calls itself the “Non-GMO Project” that puts its “verification” seal on so many products that you see in supermarket shelves. Buying such products will not harm your child’s health any more than giving your child the corresponding GMO product will harm him or her. But as you enjoy your time with your little one, keep in mind that there are other children around the world, children whose parents don’t have time to worry about first world problems, like avoiding an insecticide that isn’t even harmful. They are being harmed, and in many cases killed, by the false information that groups, such as the Non-GMO Project, are helping to spread. I am asking you to avoid such food products. The best way to do this is to avoid markets that are wooy –and by the way overpriced. Shop in standard supermarkets instead, choose nutritious, conventional foods, and avoid products that have the Non-GMO Project seal. Is Your Baby Getting Adequate Nutrition From Animal- or Plant-based Breast Milk Substitutes?